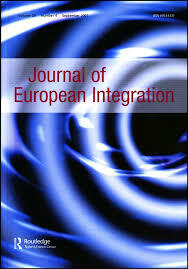 New publication by Franziska Marquart, Andreas Goldberg, Erika van Elsas, Anna Brosius, and Claes de Vreese in Journal of European Integration, titled: ‘Knowing is not loving: media effects on knowledge about and attitudes toward the EU’. Click here for the article. Abstract: Media provide the public with information related to the European Union which may alter individuals’ perceptions, ultimately resulting in changes in performance evaluations of the EU. Knowledge gains may be an important mediator in this process. We present data from a study in the context of the 2016 Bratislava summit in which the Heads of the Union’s governments discussed the outcome of the Brexit vote and the EU’s future. A panel survey assessed the relationship between exposure to media content, event-related knowledge gains, and changes in attitudes towards the European Union. Our results show that when attending to news about the summit, citizens attain event-related knowledge which negatively affects EU performance evaluations. We discuss our findings in light of the role media play in informing the European citizenry.